Vietnam seems to be on everyone’s travel list these days. As little as one year ago, I had little clue how much the country has to offer travelers. As I sit here today, it seems the word has gotten out — the culture, the sights, the FOOD…it is all fantastic. There is culture, language, and flavor here that is unlike anything you will experience in the rest of the world, in Asia. 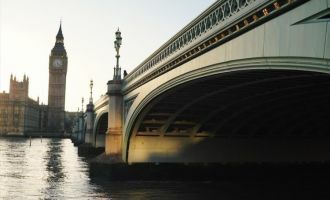 Though traveling there (starting with the visa process alone) is a bit more complicated and a bit more emotionally challenging (particularly for Americans) than many of the other destinations in Southeast Asia. More than other countries I’ve visited, Vietnam has layers and layers that you could spend weeks uncovering. If you’re looking at a trip to Vietnam as a part-time traveler, however, you’re likely to have limited time to spend there. I still find practical itinerary advice — where to visit, for how long, and what to prioritize, to be mostly missing online. 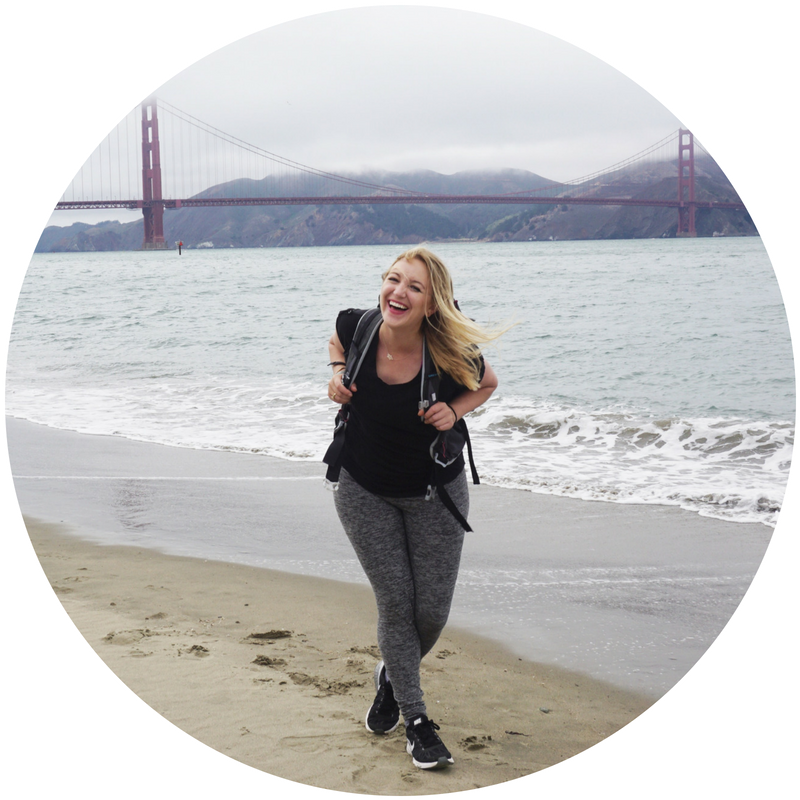 I’ve outlined the highlights based on my experience traveling through most of the country. Whether you’ve got two, three, or four weeks there, one thing is for sure — you’re going to have plenty to see. Note: when in doubt, make sure you 1) see the market 2) taste the food and 3) explore the cultural and natural distinctions of each region or city you visit. The variety of each stop you make is one of the best things about seeing Vietnam. I’ll start with two weeks, because if you are indeed a part-time traveler as I am, that may be the most that you can gather to be there in one trip. 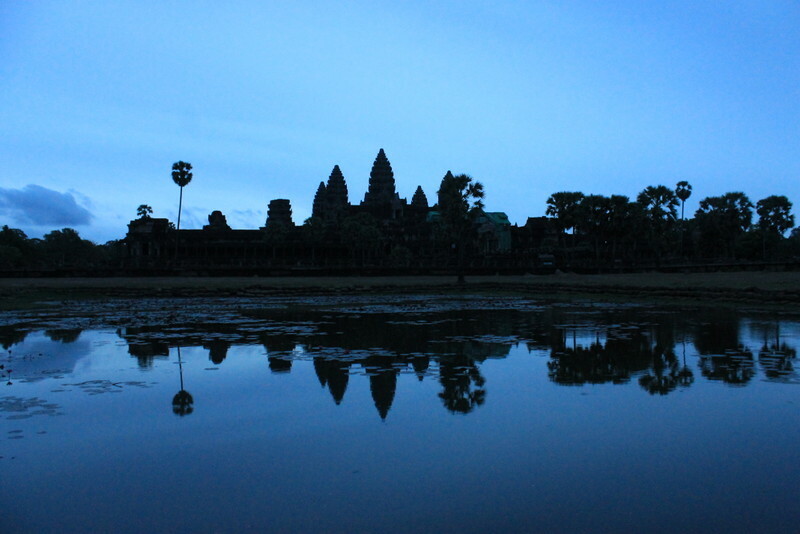 I will also include a more comfortable three week itinerary–which is close to the one I followed–as well as a longer 4 week one to accommodate other schedules. Please note: two weeks is the absolute minimum I would plan in Vietnam. Though fast-paced, it can be done, and you can see a lot of the highlights. It truly depends on your preferred speed of travel. Three weeks is a comfortable pace to see most of the country, which stretches long from north to south. You’ll start up at the top, with a trip up slightly farther north before continuing down through central and southern Vietnam. 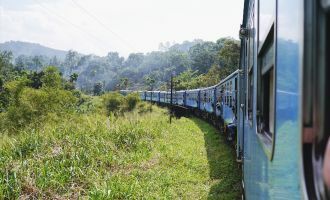 Note: Overnight trains are a useful way of traveling long distances in this itinerary (and bonus: you save a night of accommodation!) I found the trains to be relatively safe and comfortable. It’s most efficient, however, to purchase a cheap flight from Da Nang (central) to Saigon/HCMC (south) to save time, especially for the two-week schedule. Let’s begin with the two weeks in Vietnam itinerary, and if you have more time we can add on from there. 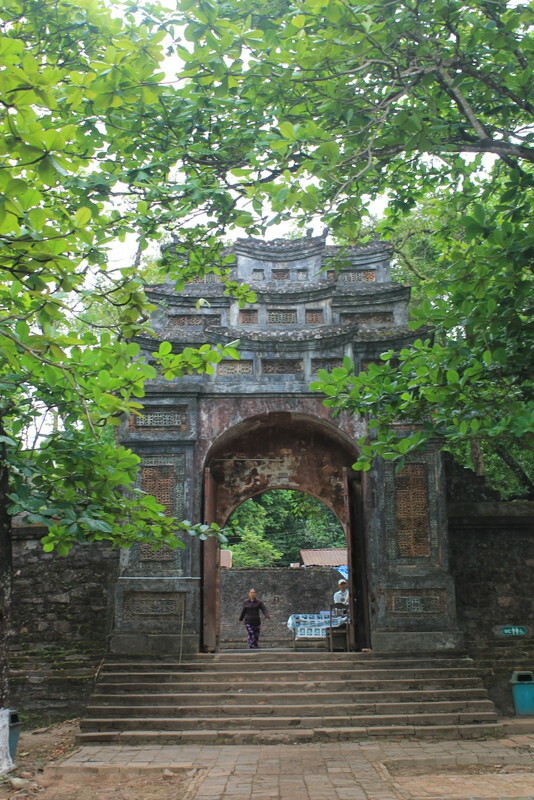 The capital city is a perfect place to begin a journey through Vietnam. The Old Quarter grants a glimpse at the tradition and culture at the heart of Northern Vietnam. 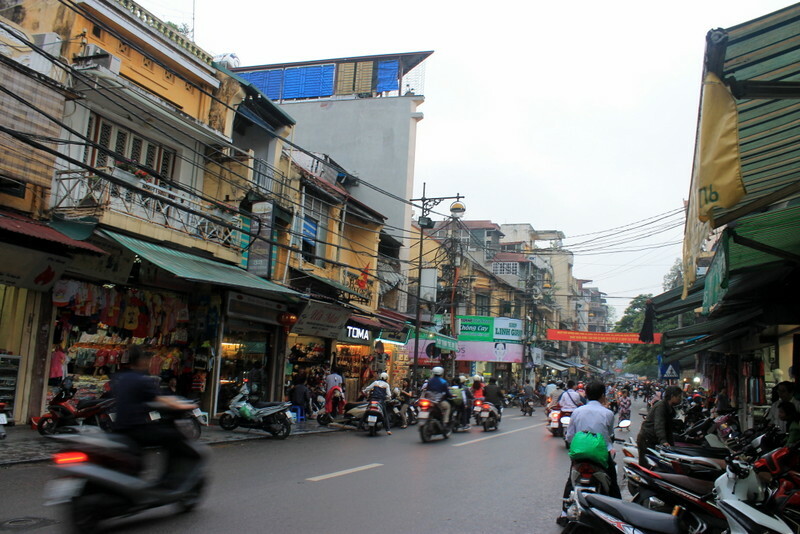 Enjoy a Vietnamese coffee while you watch the motorbikes whirl by, or squat street-side on a plastic stool and devour your first Vietnamese meal in the birthplace of pho (Vietnamese noodle soup.) 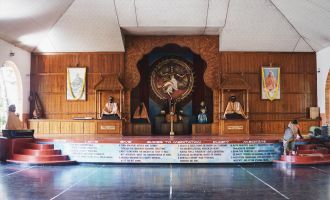 There are temples, museums, and Ho Chi Minh’s Mausoleum to see, and no matter how perplexed you are by the offering of a water puppet show — don’t miss it here. What to eat is an entirely different post, but can I recommend you try Cha Ca La Vong while in town? You’ll save time traveling to Lao Cai overnight by train, and a short drive (about 45 minutes) will have you at the heart of the trekking, rice paddies, and northern tribal villages of Sapa. Explore the local markets, hike through tiers of rice paddies, and breathe the fresh mountain air. There are eight ethnic tribes in this area, the two most prominent being the Hmong and the Dao. 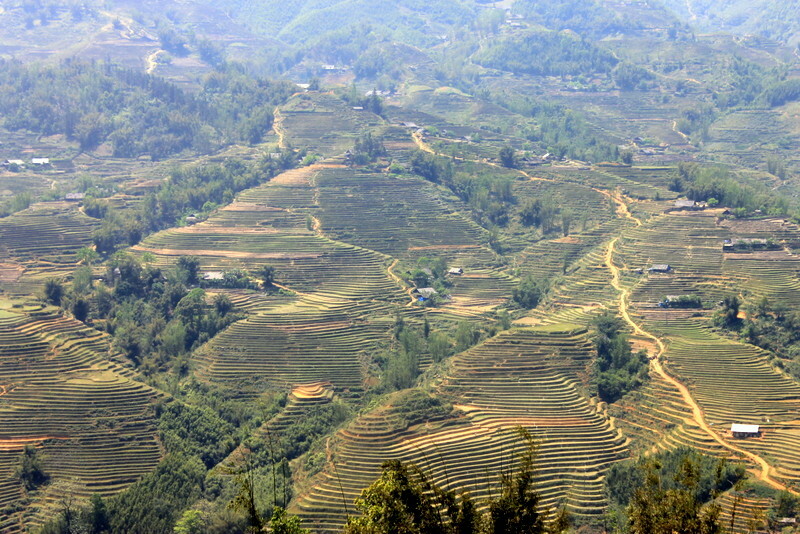 Sapa is close to the border with China, and has a completely different feel from the rest of Vietnam. This was one destination that I almost skipped — and it ended up being one of my favorite places. 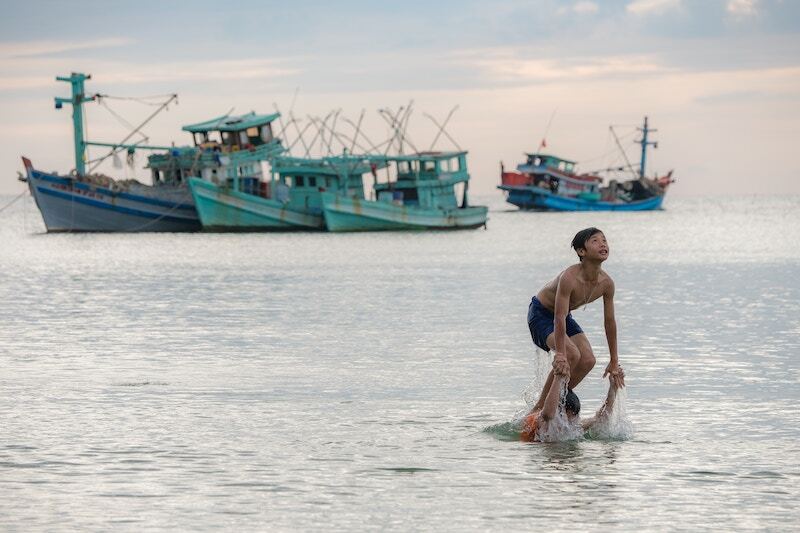 For many, this is the scenic highlight of Vietnam. It’s about a five hour journey from Hanoi, but it’s best to spend a night or two on one of the many ‘junk’ boat cruises. 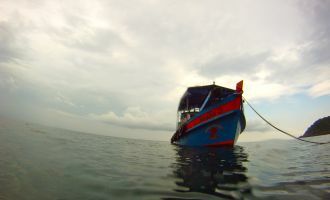 An alternative is to stay on Cat Ba island, and you might have to if the weather is not cooperating (storms are frequent during summer months.) See the floating villages, kayak, and relax among the stunning limestone karsts. 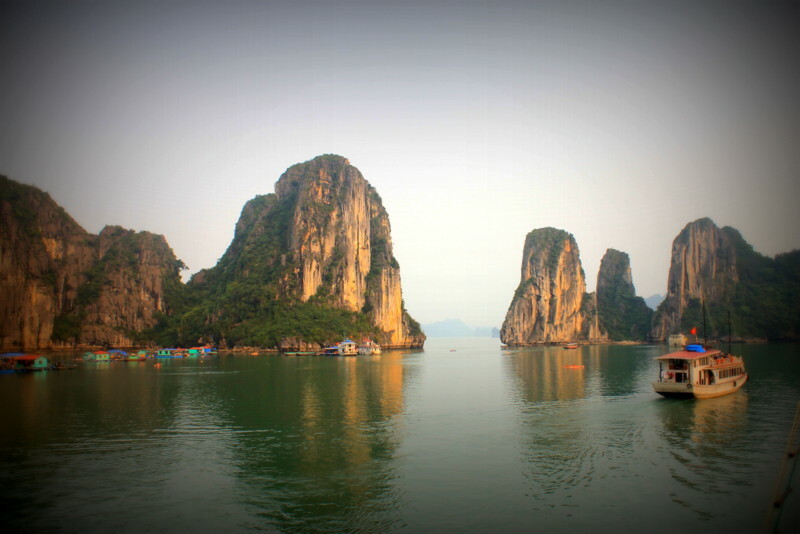 Halong Bay is a UNESCO World Heritage Site for a reason. This city in central Vietnam is the former imperial capital – and it’s worth visiting for at least a day to see the architecture and history that still exists from that time. This is a particularly fun place to rent a bicycle for the day, and is manageable and flat for biking. Check out the Imperial Citadel and the Tombs of the Emperors. 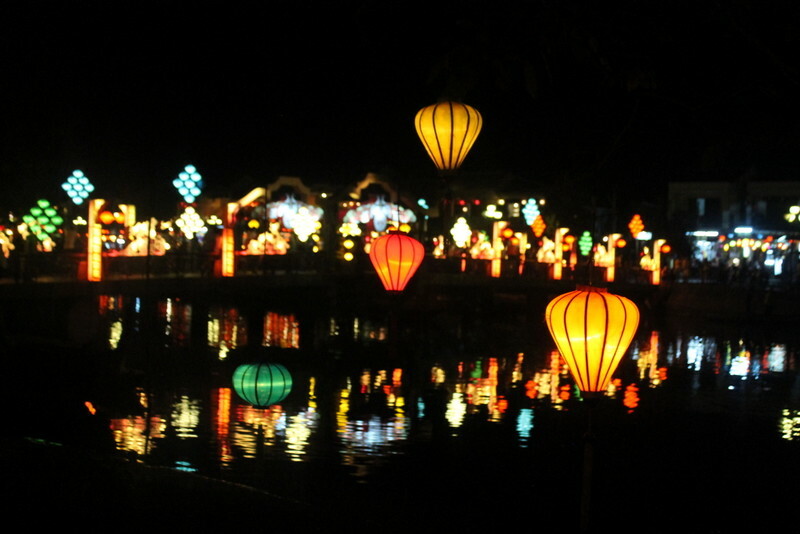 Quite simply my favorite place in Vietnam, and not just because it is so picturesque (those lanterns!) or because it has its own unique, particularly tasty cuisine (though that certainly doesn’t hurt it.) The Old Town is another of Vietnam’s world heritage sites, with its covered bridge, historic houses, and winding alleyways. This is a great place to take cooking lessons or get clothes tailored (if that suits you, no pun intended!) Don’t miss the cao lao or white rose dishes, which are both unique eats to the town. It’s the largest city in Vietnam, and you won’t be able to escape this fact — for better or for worse. There’s much to see and do, but outside of exploring its many markets and culinary options, the museums and exhibits here are primarily centered around the war and are not for the faint of heart. I suggest a day trip out to Cu Chi to see the tunnels, as well as the Reunification Palace and the War Remnants museum, for an alternative look at the history and impacts of the war. Ben Thanh is the largest and most well known of the markets – but you may want to seek out some smaller venues as well. 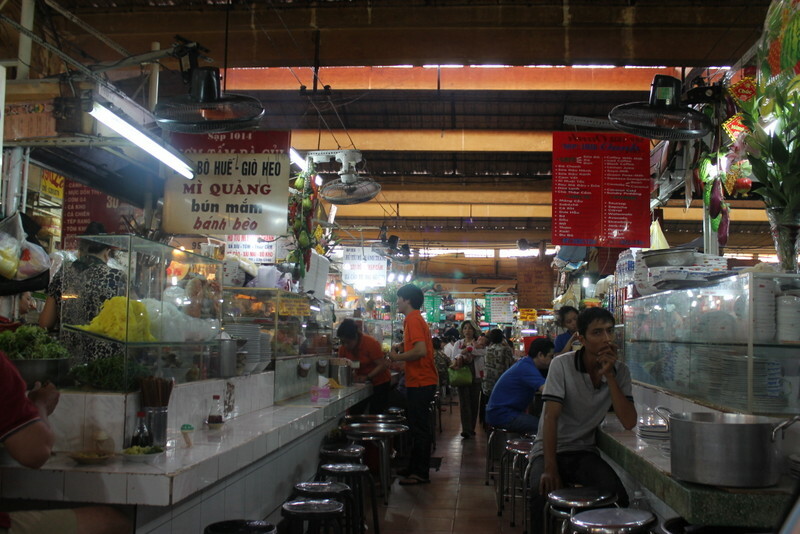 Even if you’re not shopping, the markets are a great place to sample the best of southern Vietnamese cuisine. Another unexpected highlight of the country for me. 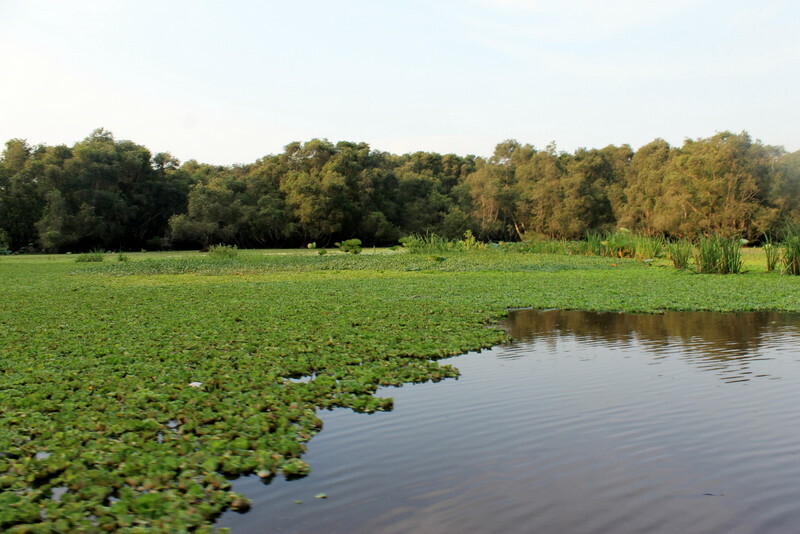 It’s common to take a 2 or 3 day tour from Saigon, with the base for most tours being the town of Can Tho. 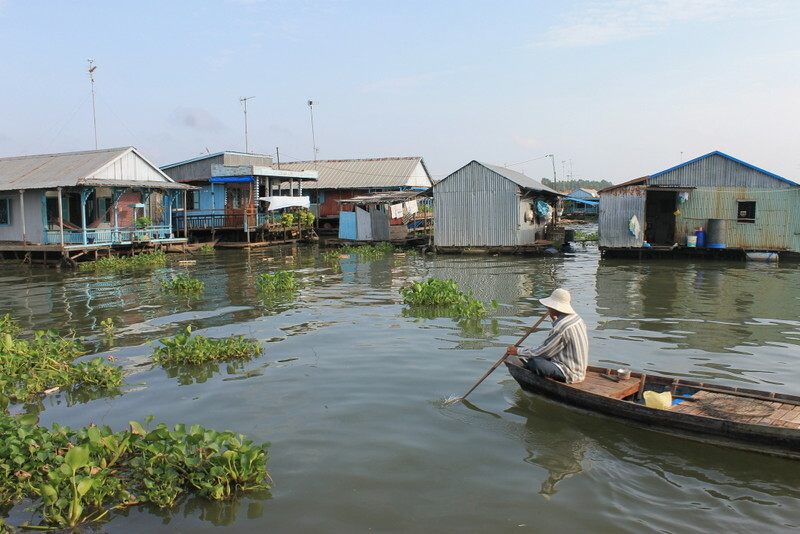 You’ll see daily life on the river, as well as many of the agricultural practices here, from fishing to rice harvesting. Don’t miss the floating markets, taking place on the river just before dawn. 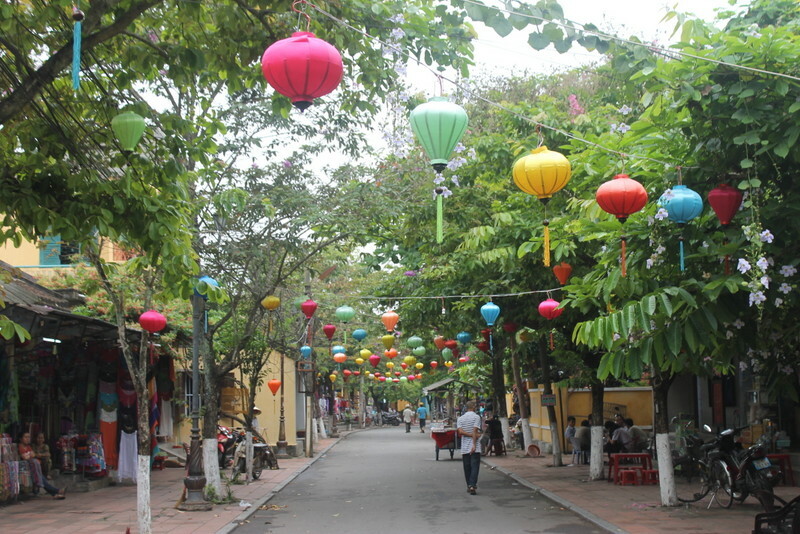 Nha Trang :: beach time, including scuba diving, but more urban feeling than Mui Ne or Phu Quoc. With three weeks, I’d easily tack on more time in each of the places listed in the two week itinerary. If you don’t have flexibility in your planning, I’d put the extra days in Hoi An — where there’s lots to do, and lots to enjoy if you’d rather just relax. 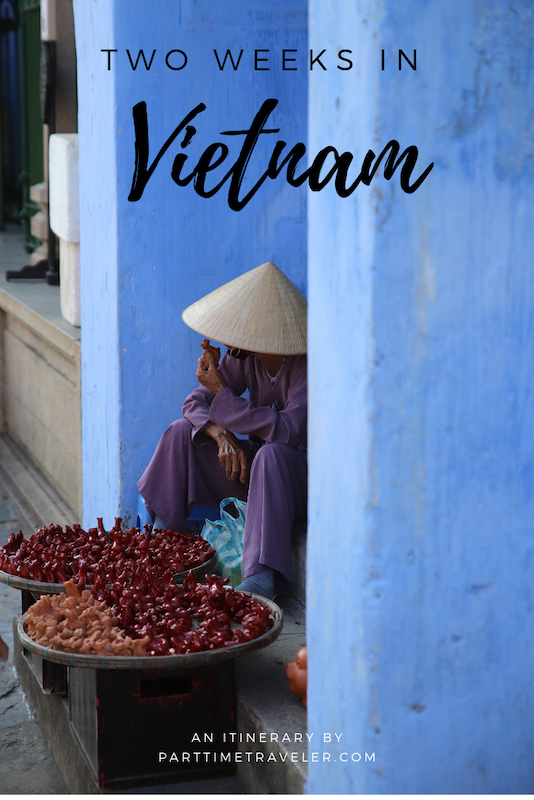 Extend your time in the Mekong Delta and visit a few more remote villages, relax in the mountains of Sapa or by the river in Hoi An, take an extra day to feast in Saigon or Hanoi, or spend an extra night in Halong Bay. With a month in Vietnam, it’s so much about seeing more as it is spending more time at the places you travel to. 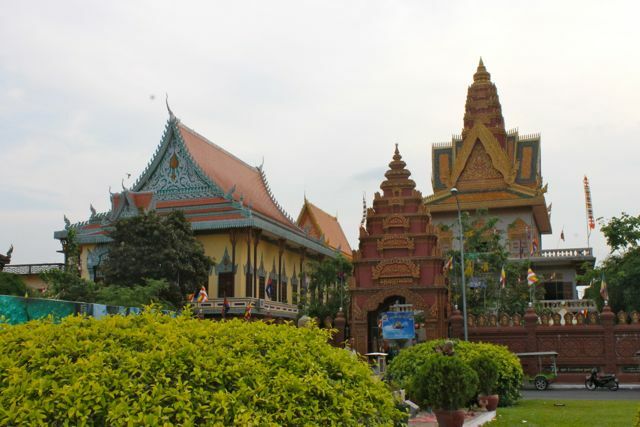 With a month’s time, you could also consider seeing Phnom Penh. Cambodia as a whole is smaller and easier to navigate than the whole of Vietnam, which ended up being much larger than I expected from looking at maps alone. Have you been to Vietnam? If yes, where would you say first time visitors should spend the most time? If not, where do you look forward to visiting most? When I was moving back to the States from South Korea, I spent a couple of weeks exploring Thailand and Cambodia, and I wish I had the chance to visit Vietnam as well – at least I have this great itinerary to begin my planning once I do get a chance to make it over there! I just love these itinerary posts, Anne. And those menus are fun to navigate. I have to get back to Vietnam. Thanks, Brad. I wanted to create something that I wished had been there when I was trip planning. I hope it helps the travel process easier for people so they are more likely to hit the road! Hi Viktor! I totally understand what you mean…Burma is amazing! I hope you enjoy Vietnam!